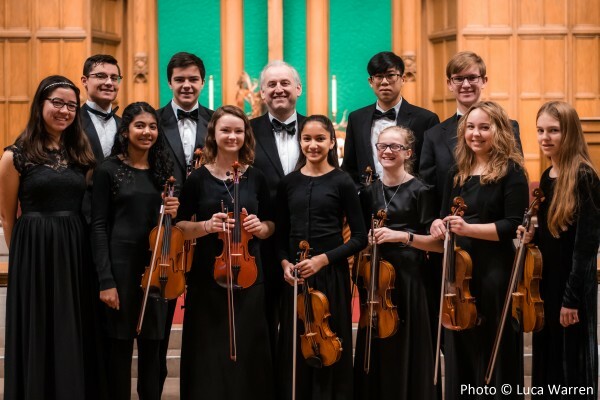 Enjoy the beautiful playing of the Camerata Chicago Academy Orchestra comprising excellent young musicians who will perform Baroque lyrical classics. 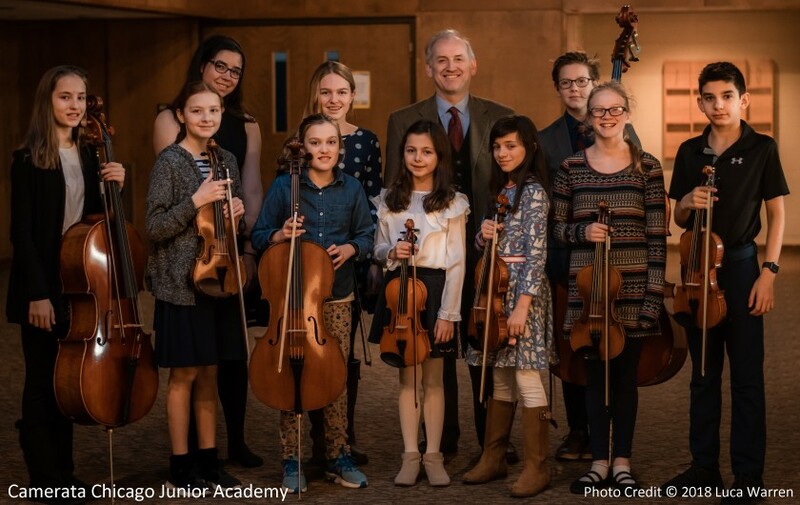 They are joined by the Junior Academy, a second, smaller ensemble of students aged 8 – 14, who will play three short Baroque masterpieces. The Camerata Chicago Academy comprises two groups – the Academy Orchestra and the Junior Academy ensemble. They are all very talented young musicians who play at a very high level and have given much joy to audiences in the past. The Academy Orchestra (the ‘senior academy’) is proud to play with Concert Master Amelia Piscitelli, the 17 year old violin virtuoso, who is presently recording the Vivaldi Four Seasons Educational Project with the Camerata Chicago professional orchestra. The CD recording will be released world wide and will be available in many schools in the Wheaton and West Chicago area. Friday’s concert is extremely child friendly, is approximately 1 hour long, and there is a cookie reception following the performance during which you can meet and mingle with the artists. It is always a lot of fun. Adult tickets are only $15, children are free. Bring friends and most of all bring your children and grand-children. Seeing and hearing other young musicians perform in this kind of forum can be an amazing inspiration for them. Watch the videos to see how excellent these musicians are – you will be amazed! – with violinists Amelia Piscitelli and Kevin Shi. – with four soloists – violinists Amelia Piscitelli, Kevin Shi, Tabitha Rea and Ananya Moses. Hornpipe from Handel’s Water Music. The Junior Academy has been going for several years and made its performance debut at the Academy’s Christmas 2017 concert. Some members perform in both the Junior Academy Ensemble and the Academy Orchestra. Charlotte Ries, Abby Gordeuk, Kate Johnston, Iselin Byars, Sylvia Byars, Alexsia Nenadovich, Drostan Hall, Eva Dalmas, Lawrence Hall, Audrianna Hall, Ian Dalmas. This entry was posted in Academy Concerts Past by Camerata Chicago. Bookmark the permalink.